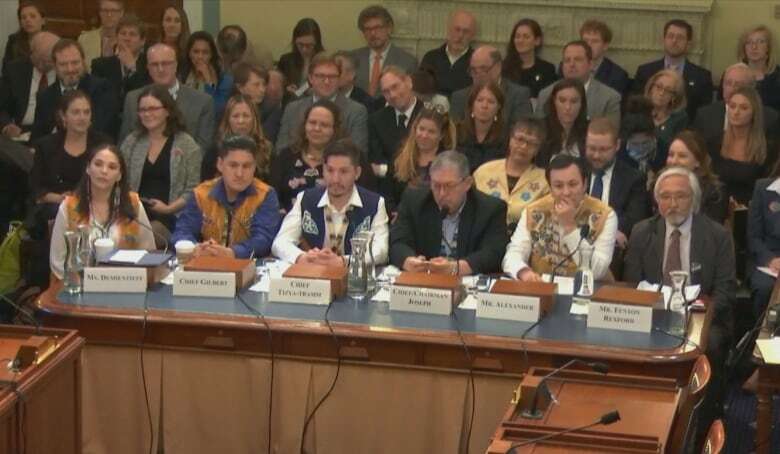 'I am here today to testify that this development on [Alaska's] coastal plain amounts to the cultural genocide of the entire Gwich'in nation,' Dana Tizya-Tramm, chief of the Vuntut Gwitchin First Nation, told U.S. legislators. 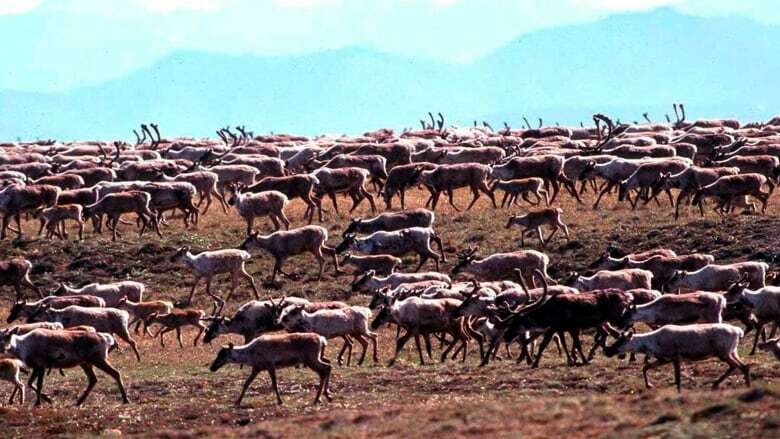 Indigenous leaders from Canada and Alaska told U.S. legislators on Tuesday that oil and gas development in the Arctic National Wildlife Refuge (ANWR) would devastate caribou, and amount to "cultural genocide." The Gwich'in representatives were testifying before a U.S. congressional subcommittee, which is considering a bill that would nix any development in the Alaska refuge. 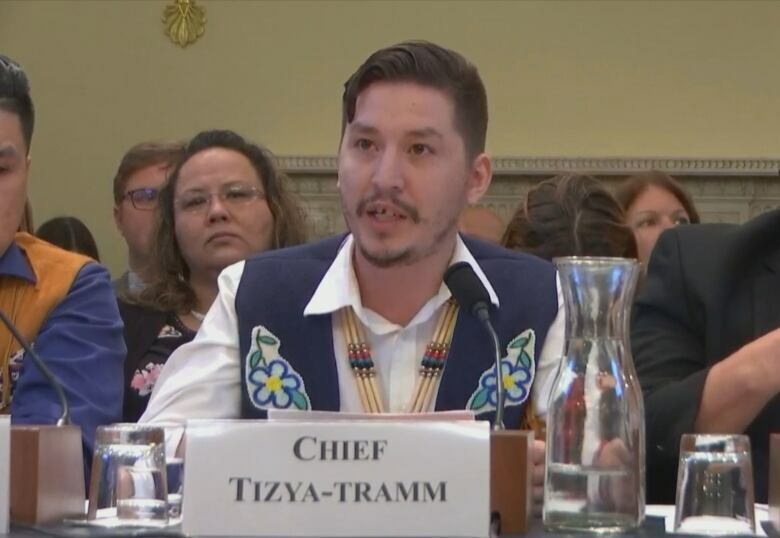 "I am here today to testify that this development on [Alaska's] coastal plain amounts to the cultural genocide of the entire Gwich'in nation," said Dana Tizya-Tramm, chief of the Vuntut Gwitchin First Nation in Old Crow, Yukon, in his testimony. "If you drill in this sacred place, it will destroy the caribou, and therefore destroy the Gwich'in." ANWR's oil and gas potential has been talked about for decades, but in 2017 the Trump administration passed a sweeping tax bill that included a provision to open the coastal plain to development. The proposed Arctic Cultural and Coastal Plain Protection Act would effectively repeal that part. Bernadette Demientieff of the Gwich'in Steeering Committee also testified on Tuesday. Her organization represents Indigenous communities in Alaska, Yukon and the N.W.T. who have long argued that protecting ANWR is vital to the survival of the Porcupine caribou herd. The herd's calving grounds lie within the refuge. "We are caribou people," Demientieff said, describing how Gwich'in have relied on the herd throughout their history. "The ancestral homeland of the Gwich'in and the migratory route of the Porcupine caribou herd are identical ... protecting the coastal plain is protecting our identity and human rights." Tizya-Tramm said it's especially important to preserve the caribou calving grounds now, as the environment around them evolves. "Protected lands will give animals the chance to survive the changing climate in our lands," he said. "The herd is the sustenance of our very being — mind, body and spirit." The area has been considered off-limits for development for nearly 60 years. In 1960, President Dwight Eisenhower set aside 3.6 million hectares of the Arctic coastal plain "for the purpose of preserving unique wildlife, wilderness and recreational values." When ANWR was established in 1980, the legislation added that one of its purposes was to "conserve fish and wildlife populations and habitats in their natural diversity including the Porcupine caribou herd." The bill now before the subcommittee on Energy and Mineral Resources calls on Congress to "sustain this national treasure," and also "honor and respect the human rights of the Gwich'in." Speaking at Tuesday's hearing, subcommittee chair Alan Lowenthal, a Democratic congressman from California who took over as chair after the mid-term elections, described the inclusion of ANWR in the 2017 tax bill as rushed and unnecessary. "It was barely even thought about," he said. "There is absolutely no need to open the ANWR to oil and gas drilling. "I think we should all be able to agree that decisions about the future of the Arctic refuge should be made thoughtfully, carefully, and with an understanding that this is a one-way street — oil and gas development, particularly on the tundra in the Arctic, is irreversible." 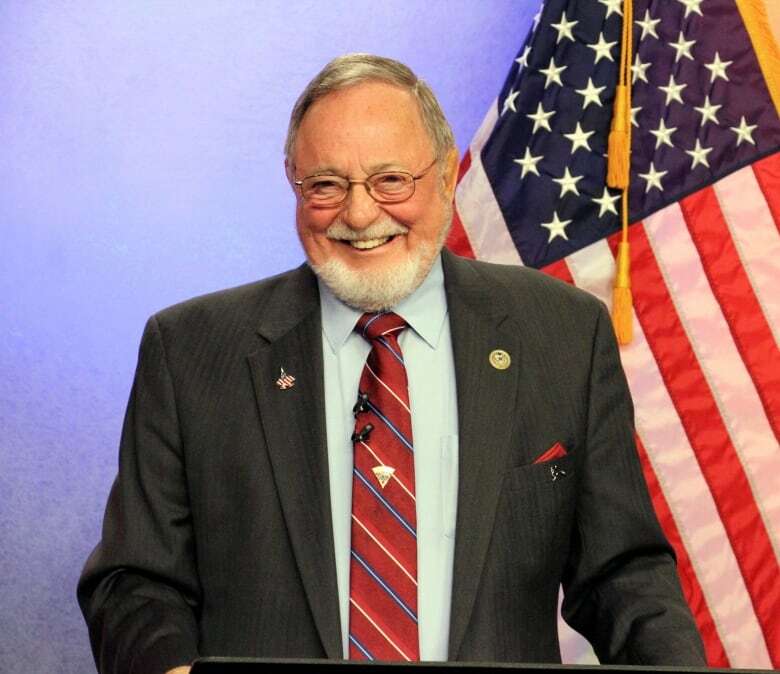 The hearing was heated at times, with Republican Congressman Don Young of Alaska — a long-time supporter of development in ANWR — appearing at one point to challenge another congressman to a fist fight. "If you want to argue, I'll argue with you later… Alright? We'll take care of that later," he said, shaking a clenched fist. Young said that the committee should hear from more Inupiat representatives who live on Alaska's north slope and support development, not "foreigners." "I want to believe the people — not the Gwich'in, because they're not the people. They're 400 miles away. I'm talking about the Inuits that live there. That's their land. It's always been their land. "Save the culture of the people, not those that are foreigners or are living away from the area."